In many countries children are engaged in some kind of paid work. Some people regard this as completely wrong. Child labor has become one of the concerning issues for many governments all over the world. Some experts have recommended that this might be a great opportunity to gain knowledge and skills for adult life. However, for ethical and children development reasons, the drawbacks far outweigh the benefits. To begin with, the employment of children could have some ethical problems. In spite of receiving some funds for working, children are exploited in some countries. As children are often used in agriculture and factory, they do repetitive jobs for very low pay on full-time basis. A good example of this situation is Nike, which has been accused for using children for its soccer ball production, although both the US and Pakistan establish and police legislation against child labor. Another widely known child exploitation is India, who has also become the world capital of child labor over last decade. Next, the development of children could be influence negatively. From social development aspect, children, who suffer exploitation, do not spend much time with other their age or with family members. As a consequence, this results in insecure adult and other emotional problems, including depression and stress. With regard to physical effects, these children are at higher risk for developmental delays due to dangerous working conditions and from taking on physical tasks, which exceed their capacities. For example, they are exposed to harmful chemicals, leading to other serious health and mental illnesses later in their lives. To conclusion, immorality and severe health problem for the young generations are two major drawback of child labor. It is strongly recommended that governments should either prohibit the employment of children or police their laws effectively. Please provide me with some feedback on my Child Labour Essay. Thanks. It's generally a good essay. It is particularly strong in that you have some good arguments that are well supported with reasons and examples, and your opinion is clear. Coherency is also generally quite good. There are some noticeable grammar issues though so you need to work on this. Make sure you leave yourself enough time to check your grammar or check it as you go along. it is a good essay but it needs about - about improvement. In all ways in is better, nice, or good we can say. All the best for improving this essay. Child Labour Essay, of children in any work that deprives them of their childhood, impedes their ability to have a proper schooling and that is morally, socially, physically or mentally harmful and dangerous. Many international organisations consider this practice as exploitative. The Legislation prohibits child labour around the world. In many countries children are engaged in some kind of paid work. Some people regard this as completely wrong, while others consider it as valuable work experience, important for learning and taking responsibilty. 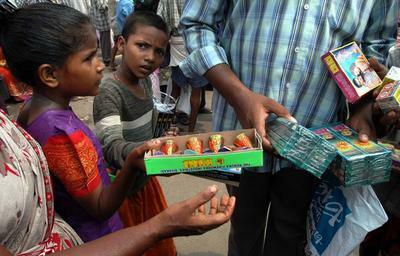 In the recent times, children are encouraged to work for money in many parts of the world in order to gain experience. This new trend is practiced in many countries especially during summer and winter breaks. Some think it is a bad idea to introduce handling money in young age while others think jobs that pay can help to gain experience and knowledge. Both sides of this argument will be analysed before a reasoned conclusion is drawn. Firstly, paying children at a very young age can be inappropriate as this can eventually encourage them to start leading an independent life allowing them to take their own decisions very early in life. This can also lead them to discontinue their studies. For instance, my brother always worked during his summer break for small scale companies that ultimately led to disinterest in academics and at the age of 18 he dropped out from college and began work. Although he gained experience in his early adult life, it later became difficult to cope up with the real working class life. However, some people think paid jobs for children can fetch experience and improve the learning ability. Although this holds good as the short term benefit, there are big chances for a child being mislead into a wrong direction because money being available at all times. Going through internship programs in school or college life, working for charity programs can also allow one to gain knowledge and understanding about the society in which they live. To sum up, albeit people think paid jobs can teach better values for children, education is the key factor in success. In my opinion, children should be discouraged of the idea of paid jobs and should be encouraged more on education, charity programs and so on which eventually can lead to gaining valuable knowledge and experience. Click below to help this student by posting comments on their Child Labour Essay. Child laboring has become a major threat to humanity around the globe. While many would argue this as illegal, a minor fraction of population defend this on the basis of learning and skill development. I content that by no means children should be encouraged to work and legal institutions should take the responsibility of safeguarding them. In this essay I will be comparing and contrasting both sides of argument with relevant examples to support my opinion. Firstly, whether it is paid or unpaid children should be stopped from laboring regardless of social and economical status. In developing countries under aged people are being forced to work due to poverty and lack of social supports. It should be taken into account that these harsh conditions and unpleasant working environment may lead to serious consequences in a child's health and future. For instance a recent report on Bangladesh mining industry revealed that over a half of the children found to have irreversible lung disease which could make them disabled or endanger their life. Furthermore that report suggested that social services and laws should take this as serious as possible and act immediately to prevent any further harms. On the other hand, minority of world's population support hiring children in the name of introducing skills in the early age would benefit one in their career. Also they argue that people exposed to new skills in childhood performs better in work place and encourage more to do so. For example owner of Tata motors in India, once a child labour mechanic and now a world renounced automobile industry magnet. It should be understood, although introducing new skills at early age is extremely beneficial, child labouring should never be promoted. For the betterment of our future generations we should act immediately to prevent this. Moreover governments and law making authorities should take necessary steps to safeguard children and build a better future for them. Please correct this essay as I have done it in 34 minutes.